Estrella Zeledón Lizano (April 21, 1929 – April 10, 2019)  was a Costa Rican public figure who served as the First Lady of Costa Rica from 1978 to 1982 during the presidency of her husband, Rodrigo Carazo Odio. She also served on the Executive Council of the United Nations Educational, Scientific and Cultural Organization (UNESCO) from 1981 until 1985. Rodrigo José Ramón Francisco de Jesús Carazo Odio served as President of Costa Rica from 8 May 1978 to 8 May 1982. Zeledón, the daughter of Jorge Zeledón Venegas and María Lizano Matamoros, was born in San José, Costa Rica, on April 21, 1929. She was the granddaughter of Saturnino Lizano Gutiérrez, who was briefly President of Costa Rica in 1882. She attended the Colegio Nuestra Señora de Sion in San José. San José is the capital and largest city of Costa Rica. Located in the mid-west of the Central Valley, San José is the seat of national government, the focal point of political and economic activity, and the major transportation hub of this Central American nation. The population of San José Canton was 288,054 in 2011, and San José’s municipal land area measures 44.2 square kilometers, and an estimated 333,980 residents in 2015. The metropolitan area stretches beyond the canton limits and has an estimated population of over 2 million in 2017. The city is named in honor of Joseph of Nazareth. Saturnino Lizano Gutiérrez was President of Costa Rica from 6 July to 10 August 1882. The President of Costa Rica is the head of state and head of government of Costa Rica. The President is currently elected in direct elections for a period of four years, which is not immediately renewable. Two Vice presidents are elected in the same ticket with the president. The president appoints the Council of Ministers. Due to the abolition of the military of Costa Rica in 1948, the president is not a Commander-in-chief, unlike the norm in most other countries, although the Constitution does describe him as commander in chief of the civil defense public forces. Rodrigo Alberto Carazo Zeledón is a Costa Rican politician, economist, lawyer and political scientist, first Ombudsman of the Republic of Costa Rica, and a former delegate to the Legislative Assembly of Costa Rica who seved in that capacity during the Pacheco administration. He was president of the Partido Acción Ciudadana. Aniceto del Carmen Esquivel Sáenz was President of Costa Rica for a brief period of three months in 1876 before being deposed in a coup d'état. José Bruno Carranza Ramírez was briefly President of Costa Rica in 1870. Bruno Carranza came to power in the coup d'état of 27 April 1870 that deposed President Jesús Jiménez. He resigned three months later. Rolando Fonseca Jiménez is a retired Costa Rican footballer who played as a forward. José Pastor Fernández Beita is a former football player in the National League of Costa Rica during the 1980s. The following is an alphabetical list of topics related to the Republic of Costa Rica. Costa Rican literature has roots in colonization and is marked by European influences. Because Costa Rica is a young country, its literary tradition is also young. The history of Costa Rican literature dates to the end of the 19th century. General elections were held in Costa Rica on 5 February 1978. Rodrigo Carazo Odio of the Unity Coalition won the presidential election, whilst his party also won the parliamentary election. Voter turnout was 81%. Yolanda Oreamuno Unger was a Costa Rican writer. Her most acclaimed novel is La Ruta de su Evasión (1948). Her 40 years of life were markedly divided into two phases: the first 20 years, filled with youth, beauty and happiness, contrasted sharply with the following years of tragedy, loneliness and sickness. Juan Carlos Mendoza García is a Costa Rican politician and the country's current Ambassador to the United Nations. He was a deputy with the Citizens' Action Party during the 2010 to 2014 and served as President of the Legislative Assembly from 2011 to 2012. Eunice Odio was a notable Latin American poet. She wrote articles, essays, reflections, letters, short stories and children's literature. Costa Rica–Mexico relations refers to the diplomatic relations between Costa Rica and Mexico. 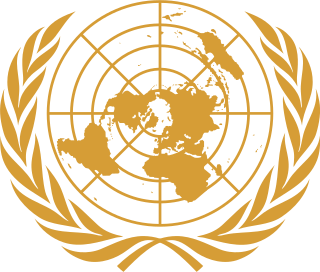 Both nations are members of the Association of Caribbean States, Community of Latin American and Caribbean States, Organization of American States, Organization of Ibero-American States and the United Nations. This is a list of foreign ministers of Costa Rica. Doris Yankelewitz Berger was a Costa Rican artist, politician, political activist, and member of the National Liberation Party (PLN). She served as the First Lady of Costa Rica from 1982 to 1986 during the presidency of her then-husband, President Luis Alberto Monge. She was the nation's first Jewish First Lady. María Teresa Obregón Zamora (1888-1956) was a teacher, suffragist and politician in Costa Rica. She was part of the group that formed the Asociación Nacional de Educadores (ANDE) and fought for women's enfranchisement. After winning the vote, she helped found the National Liberation Party of Costa Rica and was one of the first three women elected as a Deputy of the Legislative Assembly of Costa Rica. In 2002, Obregón was honored as one of the inaugural group of women inducted into La Galería de las Mujeres de Costa Rica. The Ministry of the Presidency is a ministry of the Republic of Costa Rica created on 24 December 1961 through Law 2980. Its work prescribed by law consists in providing support to the President of the Republic, serving as a liaison between the Presidency and the other branches of government, civil society and the various ministries. Liberalism in Costa Rica is a political philosophy with a long and complex history. Liberals were the hegemonic political group for most of Costa Rica’s history specially during the periods of the Free State and the First Republic, however, as the liberal model exhausted itself and new more left-wing reformist movements clashed during the Costa Rican Civil War liberalism was relegated to a secondary role after the Second Costa Rican Republic with the development of Costa Rica’s Welfare State and its two-party system controlled by social-democratic and Christian democratic parties. ↑ Deportiva, Eduardo Vega Periodista Bachiller en Análisis de Sistemas de Información Egresado del posgrado en Comunicación de la UCR Miembro activo de la Federación de Periodistas Deportivos de América y miembro activo de la Asociación Internacional de Prensa. "Falleció doña Estrella Zeledón de Carazo, primera dama de Costa Rica entre 1978 y 1982". La Teja, Grupo Nación. Retrieved Apr 12, 2019. ↑ Saenz Carbonell, Jorge Francisco. "El Cancillar Zeledón". Foreign Ministry of Costa Rica. Retrieved 2016-07-29. 1 2 Loaiza, Vanessa (2009-12-09). "Falla en tres órganos causó muerte a expresidente Carazo". La Nación (San José) . Retrieved 2016-07-29. ↑ Jurídicos, Carlos Arguedas C. Periodista en la sección de Sucesos Trabaja en La Nación desde el 2000 siempre en la cobertura de asuntos de Sucesos y. "Estrella Zeledón de Carazo, carismática ex primera dama, muere a los 89 años". La Nación, Grupo Nación. Retrieved Apr 12, 2019.